Bone density comparison. 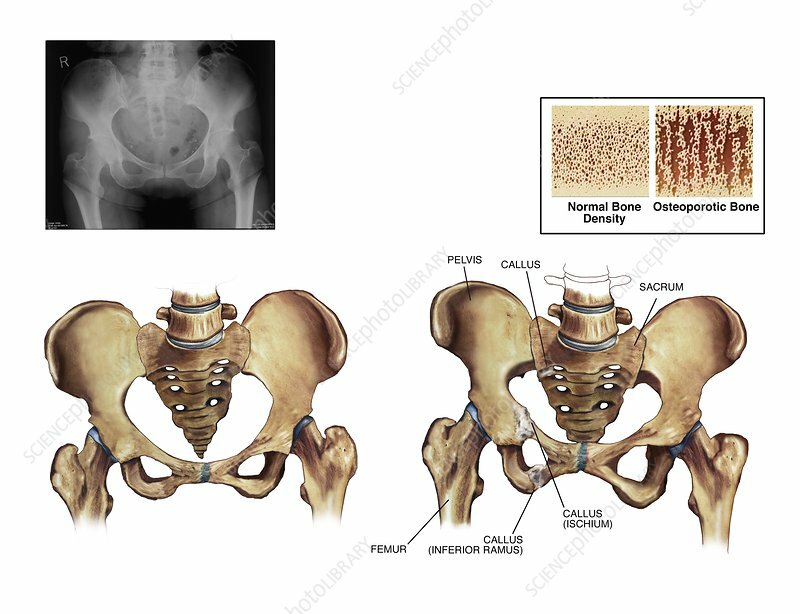 Artworks and corresponding X-ray of an anterior (frontal) view of the human pelvis, showing changes in bone density. This can be a decrease due to bone loss in a condition such as osteoporosis (upper right). It can also be additional bone growth due to changes caused by an accident. The healthy pelvis before the accident is at lower left. The pelvis with bony growths (calluses) after an accident is at lower right.